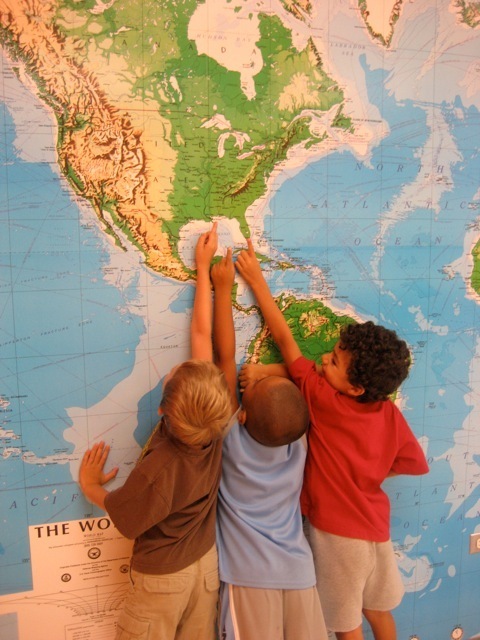 How can schools provide safe, sustainable learning centers, even in urban environments? The latest in Trung Le’s Redesigning Education series. “I just feel it’s inevitable that there will have to be change. The only question is whether we’re going to do it starting now, or whether we’re going to wait for catastrophe.” –Alvin TofflerWe live in a global economy, unquestionably. The common metaphor, pioneered by Thomas Friedman is that “the world is flat.” Technology and a less expensive knowledge-based workforce in countries like India, Brazil and Vietnam have leveled the economic gap between the developing world and western countries. An alternate view, held by urban theorist Richard Florida, seems more compelling to me. He argues that the world is not flat but “spiky.” The “spikes” are the world’s cities, and these urban centers are the critical components that will lead to a better balance between our limited planetary resources and the rapidly expanding human population. More than half of the human race lives in a city. This figure will rise to 70% by the year 2050. Florida cites the statistic [PDF] that together New York, Los Angeles, Chicago and Boston have a bigger economy than all of China. These urban centers are supported by a diversity of interconnected systems and infrastructure that enhance the human condition (i.e. employment, culture, housing, education, transportation, public safety, healthcare, energy and technology). Given the population density and critical mass of economic, social and intellectual capital in cities, they naturally become innovation hubs. Furthermore, hubs like London, Paris, New York, Tokyo, Chicago, San Francisco, Hong Kong, Singapore and Los Angeles are dynamically interconnected with each other. But there is always a weak link, and in this instance, the weakest link in many of the leading urban economies is preK-12 education. Education is critical to a thriving urban center, so why are urban education systems in distress? Better yet: What can we do to change this fate? What does an urban preK-12 physical environment look like in the third millennium? What is the new pedagogy? Here are a few humble suggestions for redesigning education within an urban fabric—the outcomes of which should be more intelligent city centers and a more sustainable planet. Develop Learning Centers Closer to Home McDonald’s appears to have a very simple business model–build a McDonald’s for every 25,000 people. Let’s apply this simple concept to building schools by developing a formula that allots a certain number of smaller schools for each city neighborhood with a maximum 20-minute walk between the school and any home in the designated area. If we build schools closer to home, our neighborhoods will be safer, we will cut transportation costs drastically and students and parents will not waste time commuting. We will be building schools that also act as community centers that the neighborhood can access during after-school hours and during the summer. School buses are eliminated, thereby reducing the overall carbon footprint of the urban center. And walking to school provides a means for addressing childhood obesity. 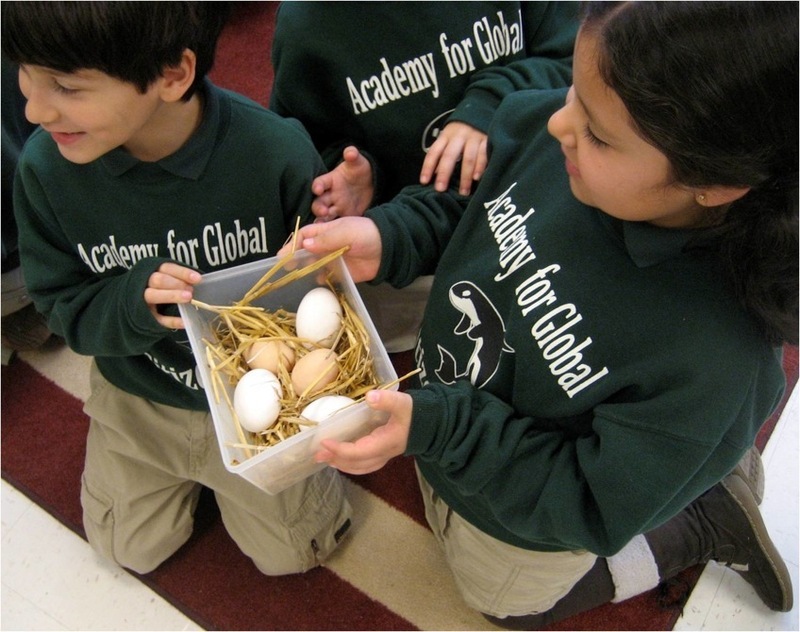 The Academy for Global Citizenship (AGC) is a charter school that serves children on the southwest side of Chicago. AGC is a rare example of a learning culture that is totally committed to social and environmental justice. AGC adopted a “walking-bus concept”–parents volunteer to be posted at designated locations and accompany the children to school.Create Connections Between Schools and the Business CommunityUrban centers are the concentration of brain power in most disciplines and industries, which promotes a natural and organic state of collaboration. Schools need to take advantage of this density of innovation and seek out experts and companies to teach and mentor young learners. Imagine a mathematician working for Wall Street teaching calculus to teenagers–there’s the short answer to why learning calculus is necessary. We should take advantage of the purpose-driven millennial generation that is willing to volunteer to teach young children through urban programs like Teach for America, City Year and the countless others that are out there. We need to build new environments that support experiential, creative and individualized learning. This connection between schools and the business community can happen in any industry. For people like me, the ACE Mentor Program offers a unique partnership among professionals in a variety of disciplines–the acronym stands for architecture, construction and engineering–that work together to attract young people to their professions. Industry professionals volunteer to act as mentors to high school students in order to introduce them to their fields and encourage them to pursue education and careers in these fields. 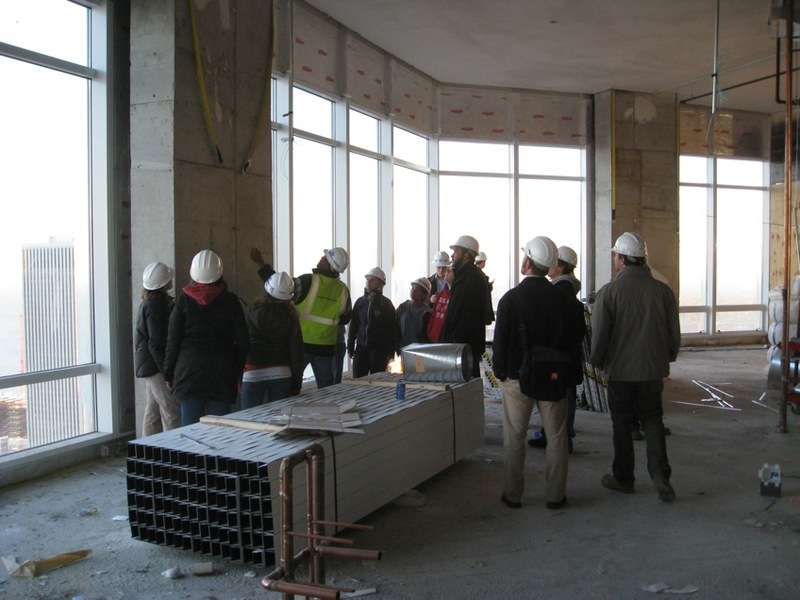 Through first-hand experience, I can attest to the Chicago chapter’s success in connecting students to the design and building industry. The partnerships developed among schools and firms across the city are a model that should be replicated beyond the A/E/C industry. Let’s connect the dots by connecting the systems so urban centers become exponentially smarter and more efficient. And, more importantly, we’ll be instilling the ideal of multidisciplinary collaboration in our children–tomorrow’s leaders. Adopt the Living Building Challenge Standard for Urban Learning EnvironmentsWhat better institution than the school system to change hearts and minds to achieving a carbon-free future. Let’s leapfrog LEED (Leadership in Energy and Environmental Design) and adopt a more organic system to guide us in making design decisions. Overseen by the International Living Building Institute, the Living Building Challenge (LBC) is more than collecting points or mapping out payback analysis–it is an absolute commitment to the environment, a new way of living. LBC is a certification program that offers the most advanced measure of sustainability out there–whereby net-zero energy and net-zero water (collecting and recycling all water on site) are two of the many milestones needed to meet the challenge. 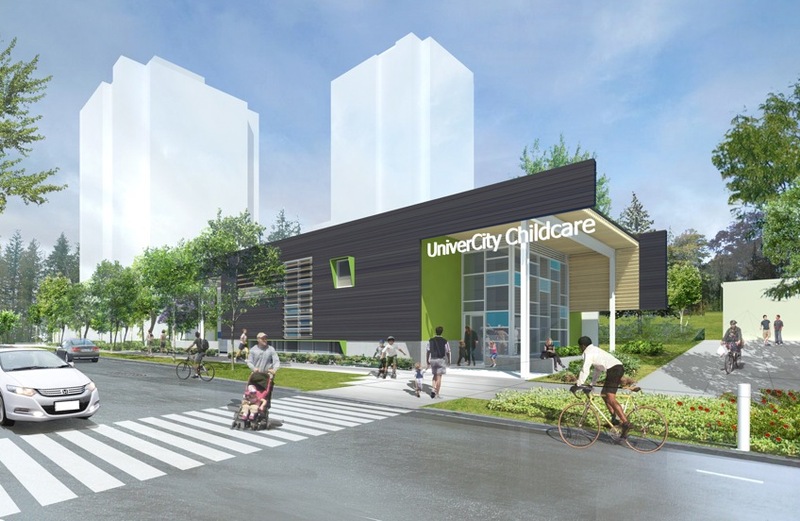 Simon Fraser University’s Childcare Society and Faculty of Education have a vision of a childcare facility that will support a community within the city of Burnaby, British Columbia. The daycare’s design is based on the principles associated with the Reggio Emilia educational philosophy. Designed by Hughes Condon Marler Architects (HCMA), the innovative project aims to meet the Living Building Challenge. A living building that will house three- to five-year old children–let this kind of project set the precedent for the future.Engage Children: An Innovation Principle that Applies to All Schools The principles I’ve outlined apply largely to urban schools. However, if we are rethinking the school environment generally, we should also change the pervasive current pedagogy and its reliance on one teaching approach to fit all learners. In turn, we must stop building the 19th century factory school that serves this monolithic mode of teaching and learning.